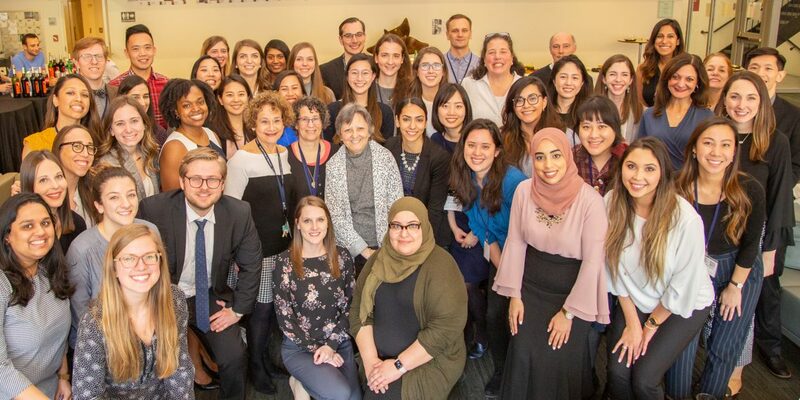 SUNY Optometry’s 2019 Residents’ Days featured 40 lectures by residents from 18 programs on March 14 and 15. Each resident presented a one-hour Council of Optometric Practitioner Education-approved lecture for an audience of nearly 300 attendees, including faculty, students, former residents and doctors from outside the College. Residency programs at SUNY Optometry cover specialties from primary care and pediatrics to ocular disease at sites including veterans’ hospitals, private practices, OD/MD practices, military bases and the College’s University Eye Center. Each lecture had a unique focus, providing attendees with a range of topics and perspectives. 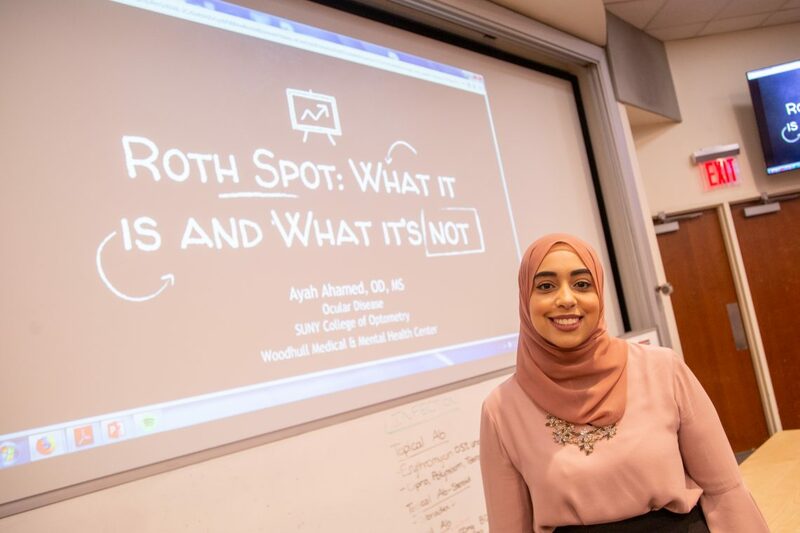 The event demonstrates SUNY Optometry’s commitment to educating the next generation of optometrists and providing the highest level of patient care, according to Dr. Ayah Ahamed ‘18, an ocular disease resident who received her OD and MS degrees from the College. Dr. Adamczyk worked with residency supervisors to help develop the residents’ public speaking skills through workshops, video recordings and feedback during the months leading up to the presentations for the 14th annual event.